Bag Legislation Around the World | Wisconsin Converting, Inc.
Australia: The Australian Capital Territory (ACT) banned plastic bags in 2011. According to the New York Post, shoppers initially opposed the ban, but it’s helped them reduce plastic bag usage by more than 80% in 3 months. Estimates also show that Australia has cut plastic waste sent to landfills by nearly 1/3. China: Stores face strict penalties of up to $1,500 if found non-compliant by the country’s 600,000 regulators. 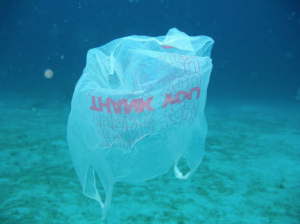 Estimates indicate that plastic bag usage has decreased by 66% since the ban was put in place, according to the Natural Resources Defense Council (NRDC). Kenya: In 2017, Kenya banned plastic bags with strict penalties. Non-compliant stores and those found distributing plastic bags can be punished with significant monetary fines or up to 4 years in jail. The ban is having immediate impacts but still faces many challenges. Chile: Retailers in approximately 230 cities in Chile face up to a $300 fine for use of plastic bags with the country’s ban of plastic bags in coastal areas. The law also calls for government-coordinated beach cleanups during peak vacation seasons to reduce the amount of plastic on the country’s beaches. United Kingdom: Consumers are charged 5-pence for each single-use plastic bag when shopping at stores with more than 250 employees. Beginning in 2015, this measure encourages shoppers to bring reusable bags when shopping. According to a 2017 article from The Guardian, estimates show that plastic bag use has decreased by more than 80% in the first year the law was enacted. Litter cleanup and carbon emissions costs have also shown steep declines since the tax was put in place. As more cities and states and countries add to those enacting bag legislation, the popularity of paper bags continues to grow as a sustainable, recyclable, compostable option. For more information on WCI products and how they meet compliance nationwide, check out our blog or call our customer service team at 800-544-1935.